The Centers for Medicare & Medicaid Services (CMS) Survey and Certification Group is sponsoring a webinar entitled “OASIS-C1/ICD9” on September 3, 2014, 2:00-3:30 pm EST. The OASIS-C1/ICD9 will go into effect January 1, 2015. A new version of the OASIS data items set (i.e. OASIS-C1) had been scheduled for implementation on October1, 2014. However, five data items contained in OASIS-C1 require the use ICD-10 codes. In light of the fact that ICD-10 has been delayed until at least October 1, 2015, CMS has determined that it is necessary to make interim changes to the OASIS-C1 data items set and also the process for the reporting of OASIS-C1 data. 1. A modified version of OASIS-C1 will be created, in which the 5 items that use ICD-10 codes (i.e. - M1011, M1017, M1021, M1023, M1025) will be replaced with the corresponding ICD-9 based items from OASIS-C (i.e. – M1010, M1016, M1020, M1022, M1024). 1. OASIS submissions to the State system will discontinue starting at 6:00 p.m. ET on 12/26/2014. The HHA State submission system will no longer be used for OASIS submissions. New, modification, or inactivation records in the current flat file format must be submitted prior to 6:00 p.m. ET on 12/26/2014. 2. Effective January 1, 2015, OASIS assessment data will be submitted to CMS via the Assessment Submission and Processing system. With the implementation of the OASIS ASAP system, Home Health Agencies will no longer submit OASIS assessment data to CMS via their State databases. 3. At this time, a new home health payment grouper update is not planned until 10/01/2015. cmsoasisquestions@oasisanswers.com. 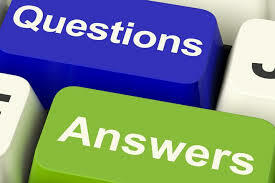 Following the webinar, CMS will post a Q&A document addressing questions previously submitted. The webinar is intended for all State Survey Agencies and Regional Office staff, as well as Home Health Agency (HHA) providers. A total of 1,000 lines have been reserved for the webinar and all participants will be in the same queue. CMS recommends that participants call in up to 30 minutes ahead of the start time. The webinar will be archived within 3-4 weeks after the live presentation.